Regina Rogers Fallon Design offers a perfectly personalised interior design company, striving to individualise each and every design concept. Her objective is not only to meet client aspirations but to exceed expectations. Regina infuses an abundance of creative energy and her passion for design into every project, with practicality and quality at the forefront. When generating a design concept, Regina's intention is to create a space for her client that is a personalised expression of themselves. A well planned design should not only leave a visual impact but enhance their lifestyle. "Finding a company that would follow a very specific design brief was challenging. MyIT worked with me to create a website that represented my business well and I can update myself. 2018 was a busy year so it was important that the “redesign” didn’t interfere with my work. MyIT made the process easy for me and the end result was a visually great and informative site." 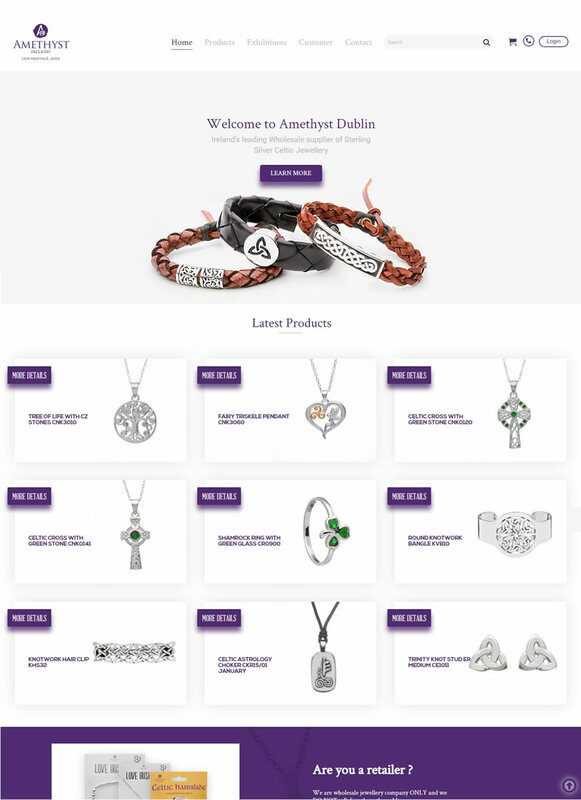 Amethyst Dublin is Ireland's leading wholesale supplier of Sterling Silver Celtic Jewellery. They are based in the heart of Dublin and are an Irish Owned Company. Amethyst's creator, Barbara Ward, began selling jewellery from a cart on Dublin's fashionable Grafton Street in the 1980's and now sells to wholesaler customers across the globe from her online shop. 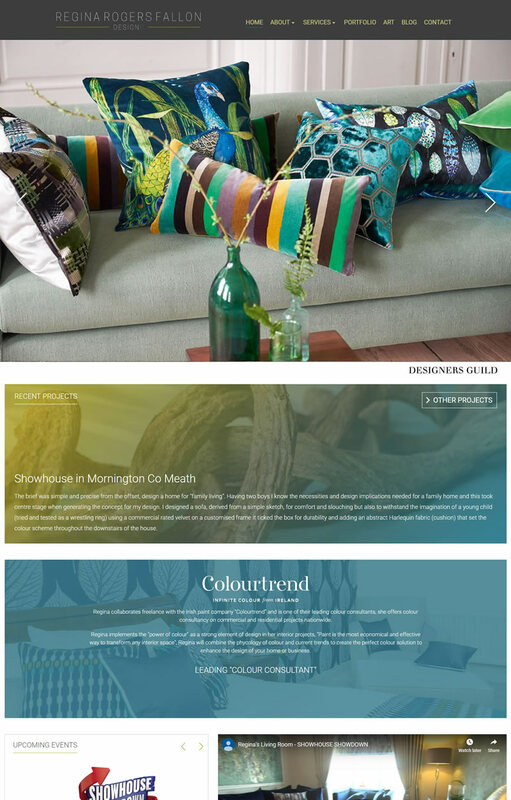 "Our old website was being managed by MYIT for the previous 2 years so we naturally turned to MYIT again when it came time to redesign and rebuild our website shop from scratch. MYIT were superb to work with and created a great looking website, which is easy to use and like before, they are a call away if we need anything. Would recommend them to any business for any web service requirement." 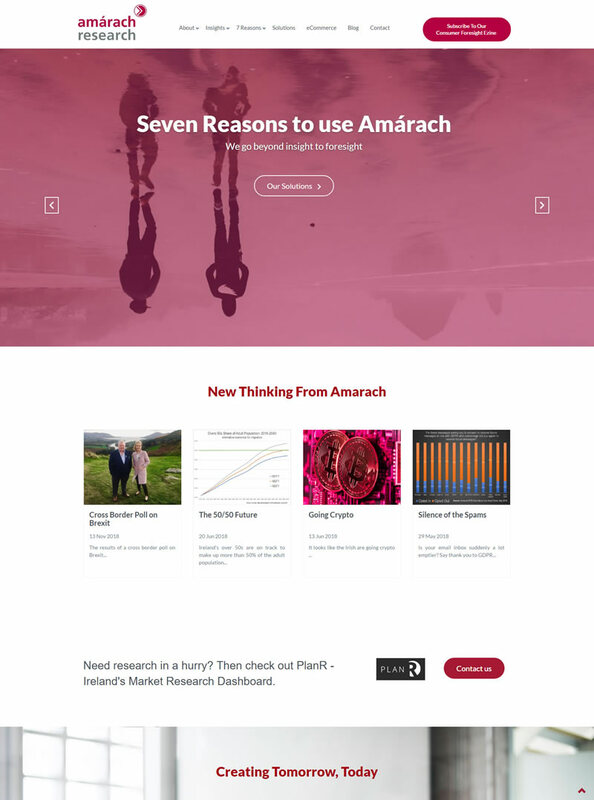 Amárach are a premium Research company since 1989 – and their team of young enthusiasts and seasoned professionals have lots of practice unlocking the future for our clients. Amárach embrace change, innovation and opportunity like no other agency in Ireland. 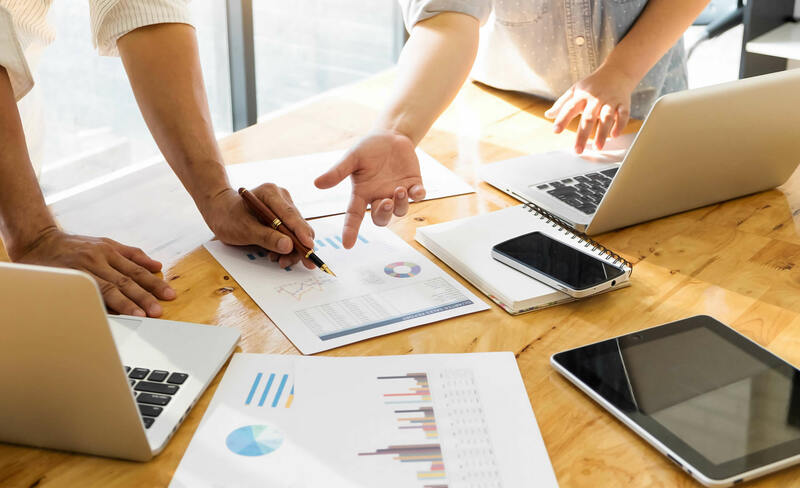 They share their own ideas and insights through their website blog, twitter, ezine and slideshare resources – and they provide unparalleled insight into the mood and intentions of consumers and businesses. "MYIT came to our rescue a number of years ago when we needed immediate help with our old website. They got that old website back to life and hosted and managed it perfectly for 2 years until we decided to redesign the entire website on 2018. We like working with them, we're delighted with the new website and they look after us when ever we need assistance. They manage our association site aimro.ie for too for our association colleagues and we are very happy to have found MYIT to work with us." 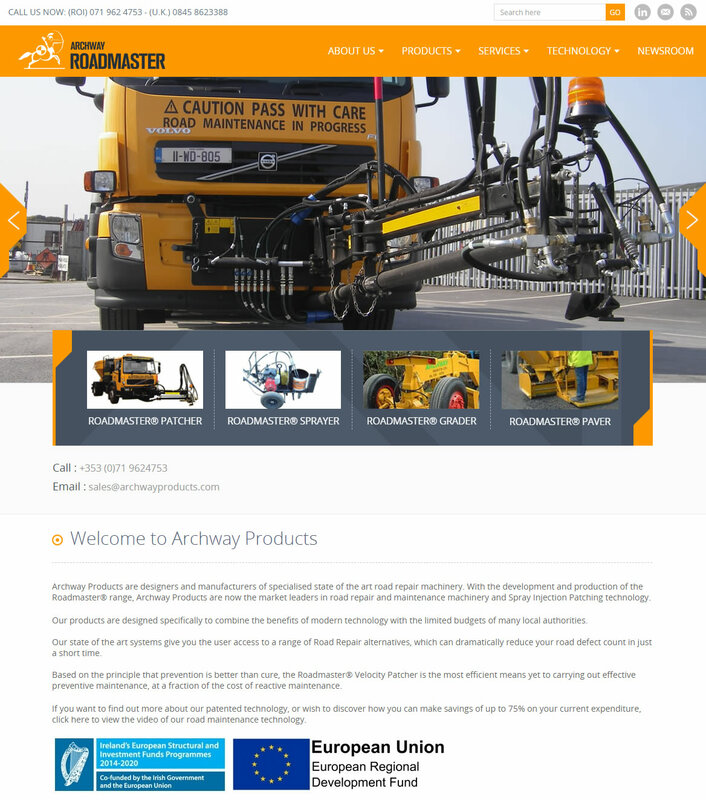 Archway Products are designers and manufacturers of specialised state of the art road repair machinery. With the development, production and services of the Roadmaster® products range, they are the market leaders in road repair and maintenance machinery and Spray Injection Patching technology in Ireland and UK. "MyIT came to me highly recommended, and now I can see why. Once the team had gathered our requirements they had a fully functional and well designed website up and running in no time. Attention to detail is second to none." 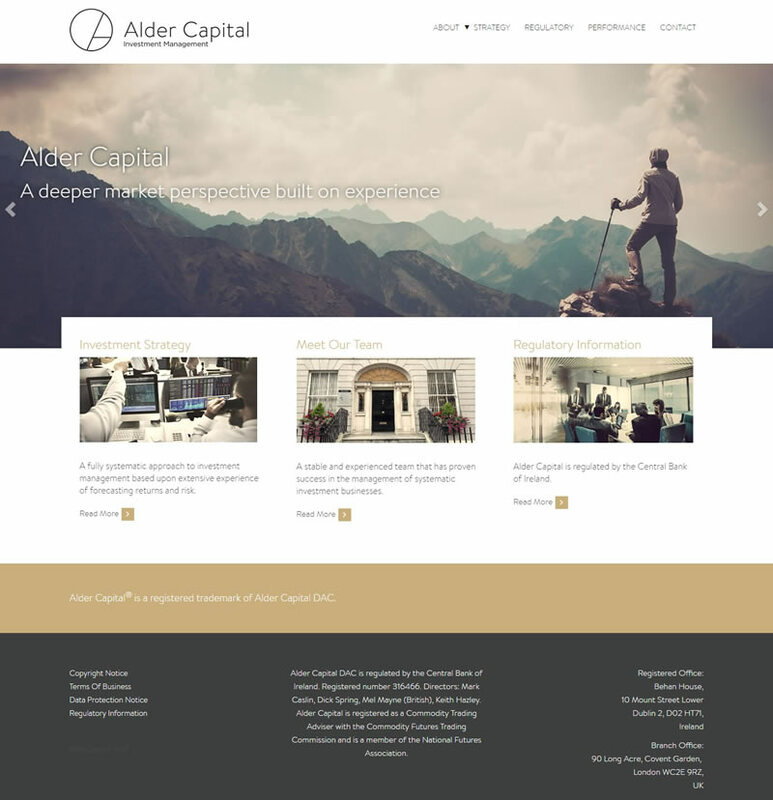 Alder CAPITAL is a high performance Fund and Investment specialist company based in Dublin and London. It was established in 2000 with the primary aim of delivering a truly alternative investment approach to a broad range of clients. "We used MyIT to update our long outdated website. We couldn’t have asked for a better service. The technical and design excellence that we encountered were seconded only to the high level of professionalism on hand during the many interactions between us. MyIT took the time to understand our needs and requirements and it didn’t take long before everyone was on the same page. It was a joy working with MyIT and I would have no problem returning to them for our next project." AJ Bathrooms established in 2015, is a leader in designer bathroom fixtures, fittings and installations. 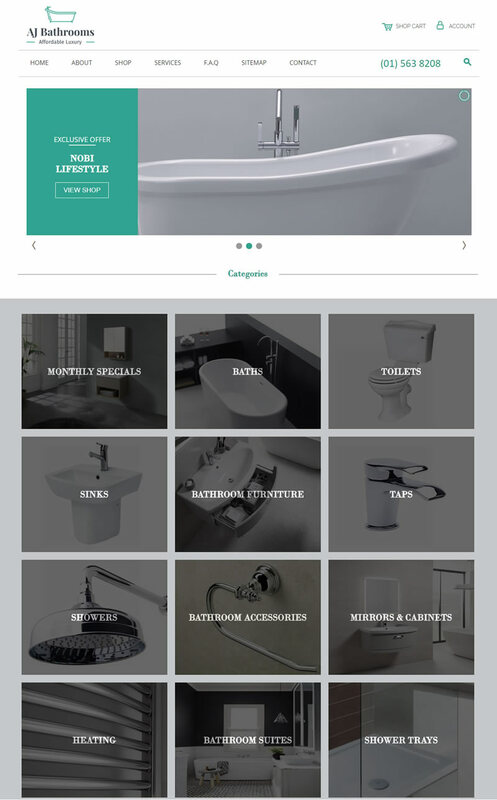 AJ Bathrooms brings to their clients many years of experience in the supply and installation of premium quality bathroom products - supplying superior products and an outstanding service. "MyIT built a website for my company and they exceeded my expectations. Their customer service and support was excellent. They were very quick to respond to any queries I had and kept me informed and updated throughout the website build. I would highly recommend them to anyone thinking of upgrading their website or building a new one."